The Cobra Sport AmD Racing team will go into its tenth season in the Kwik Fit British Touring Car Championship fully focused on challenging for top honours, after confirming its driver line-up for the 2019 campaign. The West Thurrock-based team will field a pair of race-winning Honda Civic Type Rs in the UK’s leading series in 2019, and will head into the new season after concluding deals with two of the leading drivers on the grid. Fife racer Rory Butcher will return for a second season in AmD colours having joined the team at the start of 2018, for what was his first full year of touring car competition. The 31-year-old – who previously raced with success in both single-seater and sportscar competition – enjoyed a successful debut campaign with the team at the wheel of an MG6 GT, with a best finish of sixth amongst a number of impressive top ten finishes. It meant Rory ended the year in tenth place in the Independents’ Trophy, and fourth in the Jack Sears Trophy; only missing out on a top three finish in the latter on a count-back of wins. Now armed with one of the strongest packages on the BTCC grid, Rory will seek to add his name to the list of race winners and launch a bid for championship silverware. In a real signal of Cobra Sport AmD Racing’s intent for the season ahead, Rory will be joined in the two-car line-up by Yorkshireman Sam Tordoff, who joins the team for what will be his sixth full season in the series. The 29-year-old made his BTCC debut back in 2010 in a one-off drive before joining the grid on a full-time basis in 2013, having previously enjoyed success in the Renault Clio Cup UK and the Porsche Carrera Cup. Having finished as series runner-up in 2016, Sam spent a season in GT racing before returning to touring cars this year with Motorbase – taking eleventh in the standings and ending the campaign with the best qualifying average on the grid. Sam tested with Cobra Sport AmD Racing twelve months ago and will head into the new season seeking to add to the seven victories and 28 podium finishes he has taken in his career to date. Like Rory, Sam has his sights firmly fixed on challenging for championship silverware with an outright title bid being the ultimate aim. 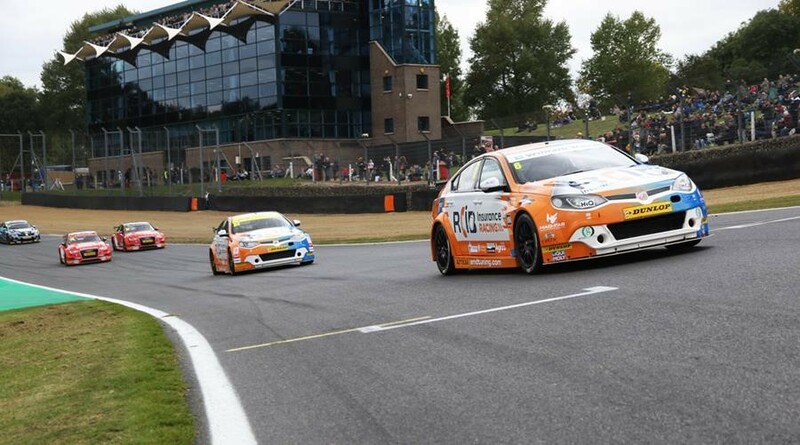 Rory and Sam will make their race debuts in the Hondas, which will run with title sponsorship from RCIB Insurance and AutoAid Breakdown, when the 2019 season kicks off at Brands Hatch in early April. “This year for me was all about gaining experience in the BTCC and learning the ropes after so long racing in GT cars. My aim was to build towards getting into a top package for 2019 to push forwards up the grid, and I’m delighted that I can do that and also stay with Cobra Sport AmD to build on what we achieved this year. I have to thank Shaun, the team and all of my sponsors for making that possible. “You only have to look at the stats for the Honda in recent years to see how well it has performed and on paper, there is huge potential for us to do some big things on track in 2019. It’s a big step up for both the team and I, and I’m confident that this package will give us a great chance of success. Certainly, I think it would be silly of me to not aim for podiums and race wins and I’ll also be looking at the bigger picture of getting as many points on the board as we can to see where it leaves us come the end of the season. Following my exciting announcement about the 2019 campaign (racing a Honda Civic in BTC) I thought it would be a good idea to let you know what else I’ve been up to in the off-season. It’s been over 2 months since my first full season in the British Touring Car Championship came to a close. They call it the off-season, but I find it can be just as busy – for different reasons. This is when all the groundwork is done for 2019 and teams and drivers pull deals together and get contracts signed for the new season. Looking back at my year in the MG 6, it’s ticked all the right boxes. It allowed me to showcase what I can do, while learning the craft of the BTCC a little under the radar. The MG chassis didn’t necessarily allow me to score podiums and race wins, which was tough to take at times, but the right people could see what my AmD Tuning squad and I were doing. Following the final round our efforts have really been acknowledged – with Autosport Magazine featuring me in their Top 10 BTCC drivers of 2018, the Scottish Motor Racing Club gave me an award for “punching above my weight” and the Fife Free Press put me through to the finals of the FFP Sports Personality of the Year Award. These awards don’t make or break a drivers career but it’s nice to know that people are taking note! It’s not just been strictly business this off-season, as I spent a day helping set up a 1965 Porsche 911 for Class Performance Engineering who are based out of Bicester Heritage. We spent a day at Donington Park, and worked on making the car more driveable for their Argentinian client who was competing at Imola the following weekend. My love for classic cars is really growing each time I get behind the wheel. The modern Porsche 997 Carrera Cup racing car that I raced for Celtic Speed from 2011-2013 was an incredibly fast and well-balanced machine. Things have moved on so much in 60 years, but I can feel still feel some of the characteristics of the classic Porsche, shining through in the modern car. In the classic car, I love how the weight of the engine is so high and far behind the rear axle, as you can use the pendulum effect to help the car steer through the corner. When you get it right, you hardly need to use the steering at all as the rear drifts round!